SAN ANTONIO, TX December 15, 2015 — MedinaTV, a local organization in partnership with the City of Medina, Ohio and local school district, offers cable-access programming of interest to Medina residents. The company recently adopted the TriCaster Mini, a mobile production system from NewTek, to enhance its workflow while at home and on the road. Through this partnership, General Manager Jarrod Fry and his team capture and broadcast live sports games, educational programs and government related events to a local cable channel. According to Fry, the high school football team has become the most important event to broadcast, and prior to bringing on the TriCaster Mini, he had issues live streaming away games. “People want to know what’s going on with their team but they’re not always able to drive the distances to see the games live. They want to know how the team did, and they want to know now,” Fry said. With a tight budget and high demand, Fry had to quickly find a solution to this issue. The TriCaster Mini was the answer – mobile, virtually cable-free, easy to use for students and volunteers and it integrated easily into his workflow. 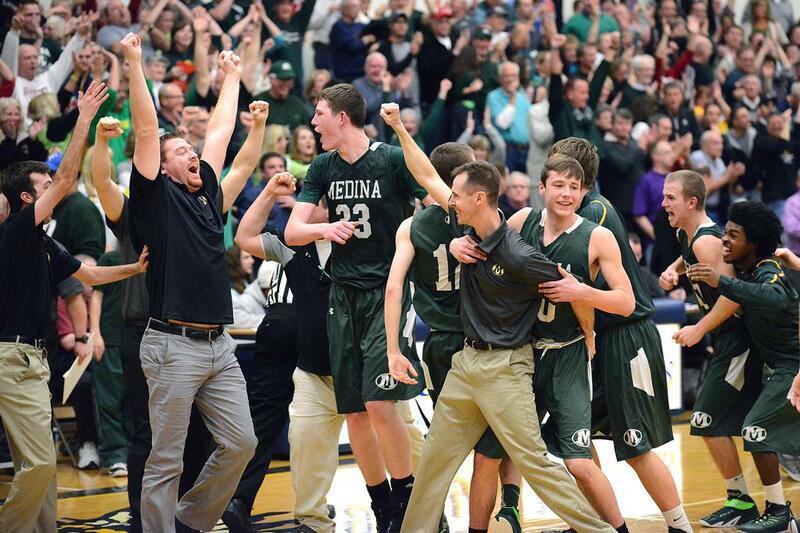 Now, Medina’s 26,000 residents can be confident that they will be able to tune into every game whether home or away. For detailed workflow information and the complete story please visit the NewTek blog.